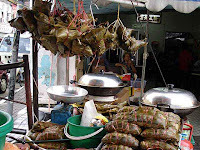 The third largest city in Malaysia and the capital of Perak state, Ipoh is known far and wide for its cuisine. And we drove all the way to Ipoh just for the coffee! 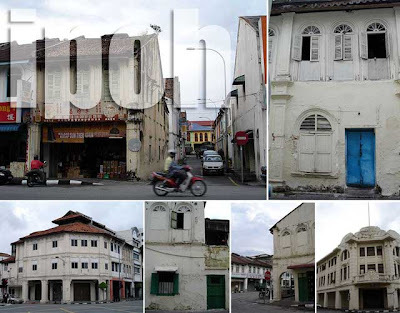 Except for the modern roads and signage, driving through Ipoh old town was like a walk in time since most of its colonial buildings and shop houses are still standing. We went straight to the kopi tiam, traditional coffee shops that have left coffee lovers raving. We were out to seek the legendary Ipoh white coffee at Jalan Bandar Timah, the famed white coffee walk of Ipoh with over half a century of history. Traditionally, black coffee roast in Malaysia (refers to the beans and not the style of serving coffee without milk) is produced by roasting the beans with sugar and palm oil margarine. On the other hand, white coffee is processed with the same Robusta beans and margarine, but without the sugar, making it less dark, thus the term white coffee. 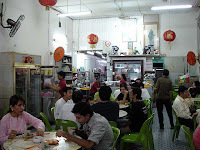 They say the undisputed king of white coffee shops is a corner-lot kopi tiam called Old Town White Café (Nam Heong). But the other shops are equally fabled. We had some iced coffee at Sun Yuan Foong just across the street. The coffee, which you can get for a little over a ringgit or fifteen pesos, goes well with homemade peanut butter or kaya (coco jam) on toast, or caramel custard. We also got some bak chang, Chinese glutinous rice dumplings we all know as machang. We still had one more stop in Ipoh. The group had made reservations at a popular seafood restaurant which has brought denizens as far as KL driving three hours north just to savor their delectable freshwater prawn dishes. 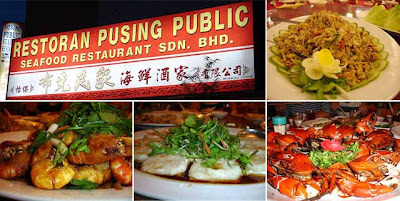 Indeed, reservations are recommended at the Pusing Public Seafood Restaurant if you want to make sure you get a table. Our group was after the crabs as well so the first and last dishes they served us were crabs! As an appetizer, we had a shredded crab meat and vegetable dish which we wrapped in lettuce. Then they brought in a dish of large freshwater prawns with a sweet and spicy sauce. We also had bean curd and fish cake floating on a pool of light soy sauce, as well as ginger chicken. 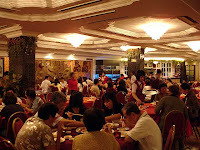 But what kept the group eating for another 45 minutes or so were the huge steamed crabs everyone had been anticipating. For Ipoh cuisine, the restaurant is a bit on the pricey side. But the fact that it’s never empty is a testament to how good their food is. We spent about 40 ringgit per person, roughly 600 pesos, which was not bad for the five-course dinner. 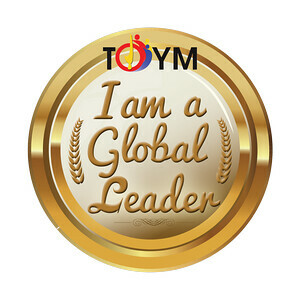 i remember staying in one of the hotels there owned by a man who studied in AIM in Makati. Just beautiful place with those Indian driven old mercedes taxis.